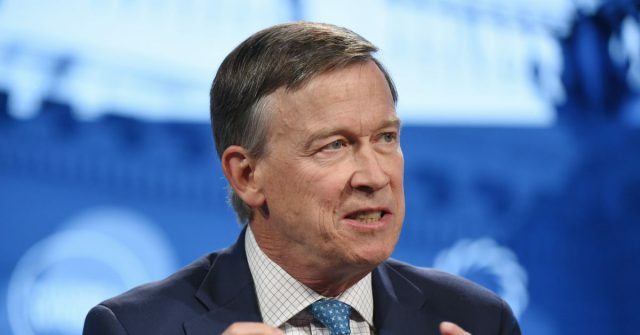 John Hickenlooper, a former Colorado governor and one of several men running for the Democratic presidential nomination, tried to flip a question that’s been posed to a handful of male candidates — to limited success. Hickenlooper, during a CNN town hall on Wednesday, was asked whether he would commit to considering a woman as his vice presidential running mate, something that Sen. Cory Booker and former Rep. Beto O’Rourke have signaled that they plan to do. While Hickenlooper’s response appeared intended to push the limits of a gendered expectation — an interpretation he reportedly reiterated after the Atlanta event — Bash underscored very clearly in her reply just exactly why it was so off-putting: Men as major-party presidential nominees has been the norm for centuries, whereas only one woman has ever been a major party nominee. To treat the idea of a man considering a woman as his running mate and a woman considering a man for that position, as the same question, simply ignores painful realities that still exist about the gender inequities in politics. The data highlights this all too clearly: Despite the groundbreaking “Year of the Woman” during the 2018 midterms, only roughly 25 percent of Congress is currently made up of women lawmakers. A woman has never been president of the United States, or vice president of the United States. Hickenlooper didn’t appear to mean any offense with his offhand comment, and seemed more keen on pushing the boundaries of the question. The only issue was that it failed to consider why the question has been so important to ask the men running for office in the first place.